Description: White background. 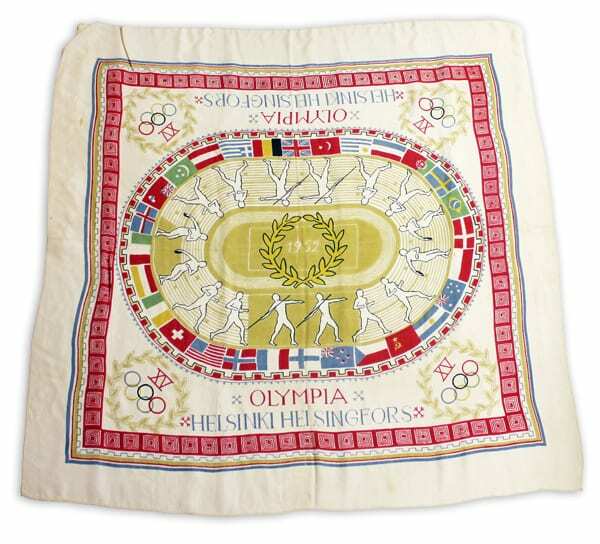 In the middle a light brown stadium track and a laurel wreath. The stands of the stadium are surrounded with a band of flags of different nations and overshadowed by white figures of runners and javelin throwers. In the four corners the Olympic rings. The texts: OLYMPIA HELSINKI HELSINGFORS.